Hannah Gibson Married Kenny Wayne Shepherd in 2006, Know about her Children and Family. Home Article Hannah Gibson Married Kenny Wayne Shepherd in 2006; Know about her Children and Family. 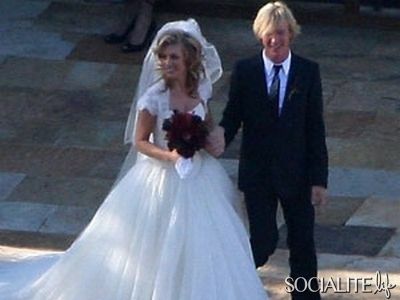 Hannah Gibson Married Kenny Wayne Shepherd in 2006; Know about her Children and Family. Hannah Gibson and Kenny Wayne Shepherd got married in 2006. Hanna is a makeup artist whereas Kenny is a singer and a songwriter. The couple is like a match made in heaven as they deeply love and respect for each other. Hanna is the first daughter of the famous Hollywood actor Mel Gibson. She is also a big-time makeup artist and has also starred in multiple movies, alongside his father as well. She married Kenny in 2006 and they have three children's between them. Kenny and Hanna married each other on September 16, 2006, in the church that his father-in-law builds, Holy Family Catholic-Church in Agoura Hills, California. Their marriage was a very big affair as many of the Hollywood celebrities were there. Their marriage was done in a full traditional way as it was fully performed in Latin. Mel really wanted his daughter's marriage to be a success and it seems what he wanted has been fulfilled as Hannah and Kenny's marriage life is very good. Hannah has already blessed his father to enjoy being a grandparent three times. What more can a father ask for? Kenny and Hannah have three children between them. One daughter born on October 10, 2007, and two sons born in 2009 and March 12, 2011. The couple is just enjoying being parents. Even though Kenny has always been busy because of his tours and live concerts all across the globe he still took out time for his family. Kenny is also an avid car collector as he has a lot of cars in his collection. He takes really good care of his cars and it also shows how much respect he gives to everything he has. The same goes for his family as well. He loves, cares and respects all of them. He is really the best husband and a father that anyone could ask for. I usually keep my private life private but I have to mention that 10 years ago today I married the love of my life, Hannah. We are celebrating 10 wonderful years of marriage and looking forward to decades more! If Kenny is out on the road touring the country he usually takes the help of technology to connect with his family. Due to his work, he has to travel to many places alone without his family and whenever he misses them, he uses Skype or does video chat with them in the iPhone. Hannah has never shared things about her private life to anyone. It seems that she has never dated anyone before going out with Kenny. Although Kenny was in a relationship with Melissa Abcock whom he dated when he was 17-year-old. Kenny and Melissa were together for more than a decade and they got married in 2000 but they broke up after two years of being together. However, the past is history now and both Hannah and Kenny is now very happy with each other and we wish them success for their marriage. Gibson was born in 1980 in the United States. She is the daughter of mother Robyn Moore Gibson and father Mel Gibson. She made acting debut in some small roles and also performed alongside Marisa Tomei and Helen Hunt.